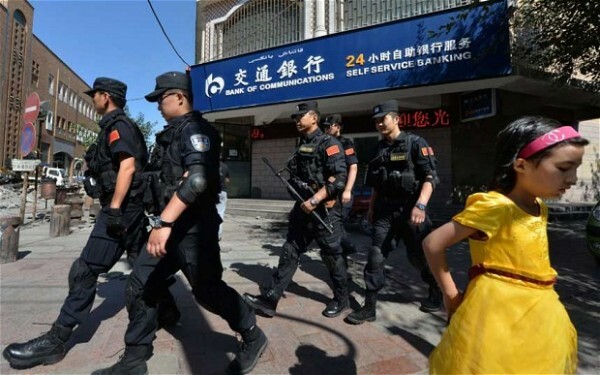 The Chinese government has said that 37 civilians were killed and 13 wounded in a terrorist attack which occurred on Monday in the Shache County in China’s northwest Xinjiang Uygur Autonomous Region. Although Chinese news media had reported on the attack early last week, details of the crime and the death toll were only released early on Sunday, Beijing local time. The attack is the latest in a series of such terrorist actions in the mostly Muslim Xinjiang region. Security officials said that the death toll included 35 ethnic Han Chinese and 2 Uygurs. An investigation by local authorities revealed that dozens of men armed with knives and axes attacked security and government offices before setting up roadblocks where they proceeded to indiscriminately kill commuters. Local authorities said that 59 of the attackers were shot and killed and a further 215 arrested. They did not provide further information on how the attackers were killed. According to Chinese news media, security forces late last week also killed two men suspected of killing a pro-Beijing mosque Imam, or cleric. Xinjiang, resource-rich and strategically located on the borders of central Asia, has been beset by violence for years. In late May, 31 people were killed and more than 90 injured after explosions at an open air market in Xinjiang’s capital Urumqi. The report quoted eyewitness accounts as saying there could be up to a dozen blasts in the crowded area and that two vehicles rammed into a crowd of people and hurled explosives at them. A train station attack and bombing in April killed three and injured 79 people. Chinese President Xi Jinping has vowed to severely punish those spreading terror in the country, and said he would spare no efforts in maintaining stability in a region where some Muslims have been calling for an independent state.